Buy this Gallon for $124.00 after using coupon code today at checkout. Notice: Shelf life is 6-8 months. A recent article in the New York Times asked readers to consider the three most defining moments in their lives and then email them into the editor for inclusion in a survey. Many were as expected: graduating from college, falling in love, having children, yet one answer kept rearing its ugly head to the point where it finally took up residence at the top of the list, first wrinkle. For some reason, noticing a small line on a previously smooth face was a cause for even greater concern than gray hairs or an increasing amount of candles on the birthday cake. Hair dye can take care of the gray, and lying about the candles is a no-brainer, but wrinkles seemed to be etched in stone. A tiny blotch on the skin which draws everyone’s eyes and erases all of the hard work we’ve done to prove a youth that no longer exists. Products come and products go, touting newfangled ingredients designed to put photo touch-up experts out of business, and the money that people have spent on them could finance a small nation. Yet most don’t work and the consumer swears that he/she will never be dumb enough to get taken again, until the next time. Ninety-nine out of a hundred people have probably never heard of the phrase hyaluronic acid serum. To those of us that have taken biology or anatomy back in the day, it may sound vaguely familiar but odds are no one is going to remember why. Yet it’s the key ingredient in some very popular skin creams and so important when it comes to erasing those unsightly wrinkles. Hyaluronic acid is found in the epidermis cells of humans and instrumental in grabbing and holding onto the moisture that also resides there. This in turn causes skin to lose some of it sagging appearance and “plump out” to minimize and often erase laugh lines, wrinkles and crow’s feet. It also improves softness and brings back a healthier, more youthful complexion by being absorbed deeply into the skin and down to the cells where it can do the most good. So keep the rest of the world guessing when it comes to birthdays and swear the hairdresser to secrecy on a stack of bibles. Experts agree that real age is a state of mind and we’re only as old as we feel. Now, thanks to hyaluronic acid serum, we can be only as old as we look too. I buy the Gallon every 4-5 weeks so I can repackage it and sell it to my customers when they get a facial from my staff. Great quality and no complaints. My customers are happy and I am happy because it sells very well here in Arizona where temperatures have been over 100 for a few days this summer. Thank you jabalabs for such a great product that can be sold easily. I buy the gallon and re bottle it in 1 oz. bottles and sell it to my clients for $10 each. Sell them in 3-4 weeks very easily. The profit pays for my rent. It is true. 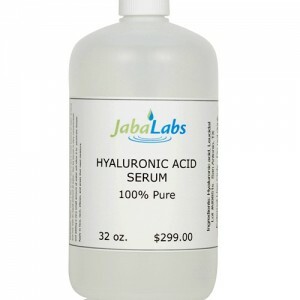 You can make money reselling this hyaluronic acid serum from jabalabs. The reason is a very simple equation. You buy it for about a dollar per ounce so anything above that is profit. I work for a spa and the owner lets me sell the HA on the side. I make an extra 600 a month which helps me pay my rent. I highly recommend the Product. This is a great quality HA serum. I have been buying your gallon for several months and very happy on how fast my spa customers buy it. Great money maker if you own a spa. This Gallon of hyaluronic acid serum is a money maker for me. I resell it at my salon to my customers and I make good money doing it. very high quality product and it is very consistent every time I buy it. 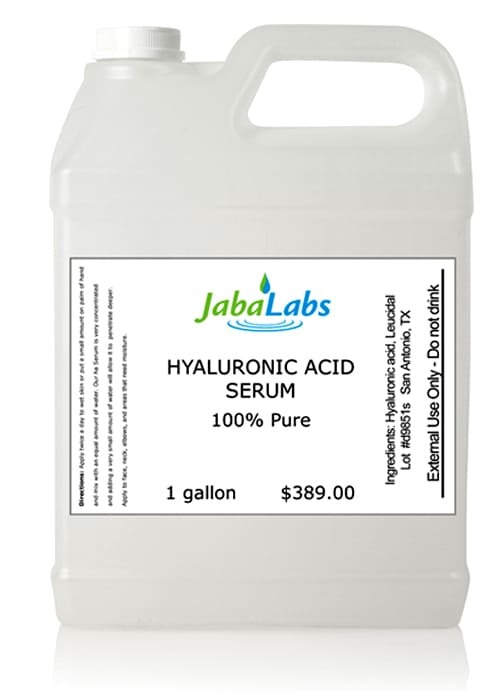 Super great value on the hyaluronic acid gallon. I buy it for my salon and use it on daily facials and for micro needling procedures. 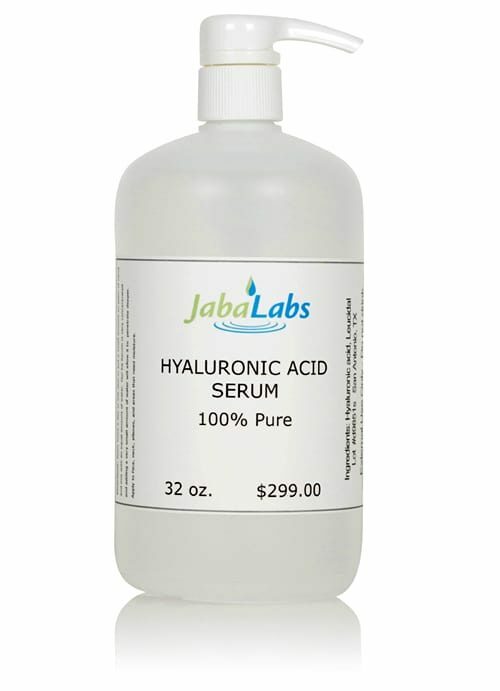 Customer service is very helpful in giving ideas on how to sell the hyaluronic acid serum to my clients, they even told me where to buy the bottles and labels. I manage a large acne medical clinic in New Mexico and this ha serum is the most used skin care product in our clinic. We use it for acne, micro needling and laser procedures. As a director of the clinic I like this ha serum because it has consistent quality, rash free, no alcohol and it is organically preserved. It is also great value and their customer support is A+. We also make lots of money reselling it under our label in our clinic. This hyaluronic acid is the best product I have used in my micro needling procedures. I never have complaints when I use it as a lubricant. 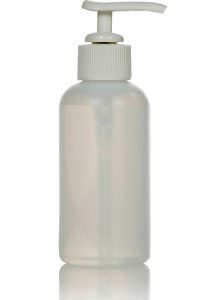 I buy the Gallon and it lasts me all month so it goes a long way as it is very concentrated. The viscosity of the product is ideal for micro needling as a lubricant.